We are back to children poetry this week. 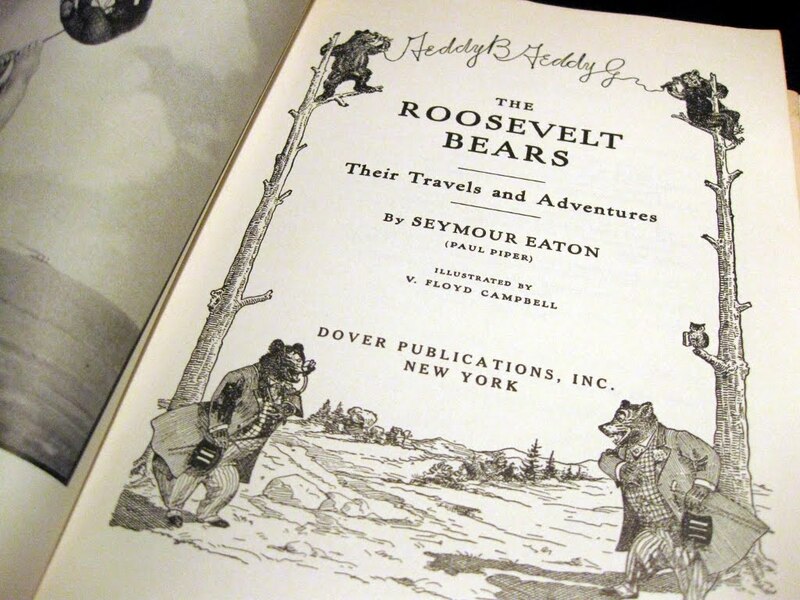 The rhymed adventures of the Roosevelt Bears by Seymour Eaton were first published in 1906. The Roosevelt Bears, TEDDY-B (black vs bad) and TEDDY-G (gray vs good), traveled through New York, Chicago, Boston, North Pole; visited a school, worked on a farm, enjoyed a county fair, and let their imagination loose during a balloon ride. Their antics, richly illustrated by V. Floyd Campbell, added a lighter note to children's summer reading lists at the turn of the last century. And the county fair and beyond the clouds. The earth below was lost to view. With sound or house or town or hill. There wasn't a thing to fasten to. Seemed to be laughing at their plight. And where it's gone I want to know." The sky will have another star. Or ride on comets through the stars. And say we're peopled like the earth." 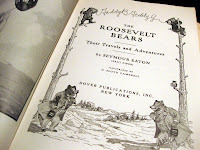 The Roosevelt Bears, Their Travels and Adventures by Seymour Eaton. First published 1906. Reprinted after Dover Publications, Inc.
"September" by Barbara Novack, Writer-in-Residence at Molloy College. This award winning (First Place Poetry Honors) poem was first published by Nassau Review and it is reprinted here after www.barbaranovack.com, with author's permission. Mary Fanny Youngs, of an old Oyster Bay family, in the PREFACE to her collection of "When We Were Little / Children's Rhymes of Oyster Bay" says: "WHEN we were little, we lived in an old gray house in Oyster Bay Cove, so close to the harbor that the high tides in the Spring and Autumn always flooded the dark, earth-floored cellar. For two hundred and sixty years the little old house has stood there, and in all that time has never gone out of the possession of the lineal descendants of the staunch old pioneer who built it. For that reason, the love of the old traditions, the old ways, the very rafters over our heads and earth beneath our feet, were not only, "bread in our bone," they were soul of our souls." Theodore Roosevelt adds in the Foreword: "Miss YOUNGS writes of the quaint, old-time Long Island life, of which not only her father and I, but she herself and my children, were part." Beautiful description of delights of Long Island follows. Conclusion reflects on good, honest living anywhere: "I hope these poems will also appeal to others; for our life was essentially the same as all the old-fashioned life lived elsewhere in the open coutry; this was fundamentally a simple and a wholesome life." And play such different plays. And see him pass the plate. To see what we can see. Half hidden out of sight. And never come back cross. "Nearer, My God, to Thee,"
And that's the very last I hear. "SUNDAY" by Mary Fanny Youngs from When We Were Little, published by The Mad Printers of Mattituck under the auspices of the Oyster Bay Historical Society. Reprinted after 1985 edition, with publisher's permission. We ride home in silence, sweating, past all the swans. 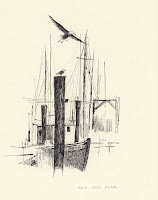 "All the Swans" by Patricia Butler from "Poems by the Boatyard", Finishing Line Press, 2011. "A beach. A boat. A backyard. And a father building a boat big enough to contain his large family, not to mention their imagination..." Patricia Butler, Long Island native, introduces herself. Her quirky sense of humor makes her fill her blogspot profile entry "Favorite Music" with "The sound of seagulls, an ocean wave crashing, the slap of water against the side of a boat" instead the usual name of a musician or an album. 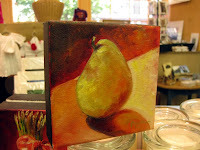 Patricia grew up on Long Island, lived and traveled in many varied geographic and cultural areas; she is currently residing in Georgia. 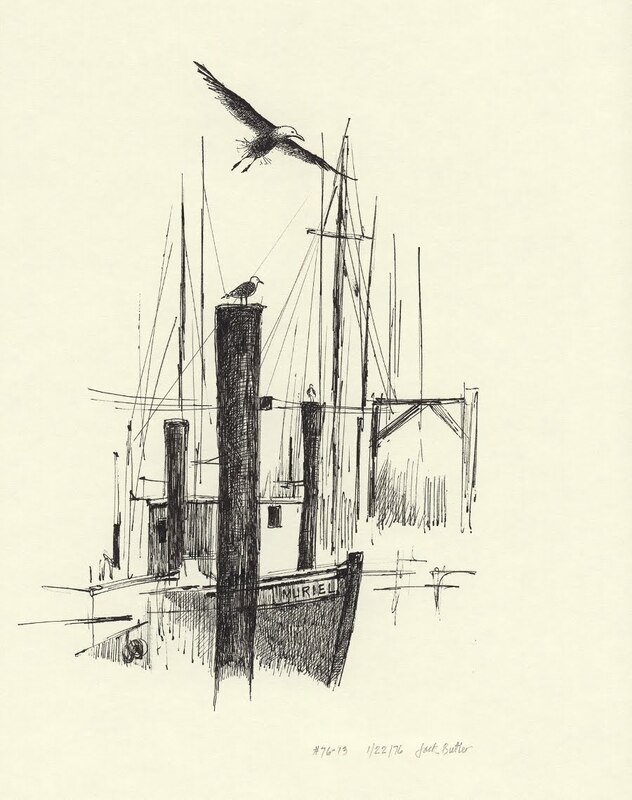 The quintessential summer poem we have picked for this week was first published in Patricia's 2011 collection "Poems from the Boatyard" which we carry at he store. A drawing by her late uncle, Jack Butler of Oyster Bay Cove / Sea Cliff / Syosset, graces the cover.